Aside from the Synod of Bishops of the whole Ukrainian Catholic Church (UGCC) that is held annually, canon law provides for a synod to be held among the bishops of each metropolitan province or 'metropolia' of the UGCC around the world. This would presently mean that eight regional Metropolitan Synods could be held in various countries in Europe and the Americas. These synods would deal with matters that may be more specific to the circumstances and needs that the Church is experiencing in that country. 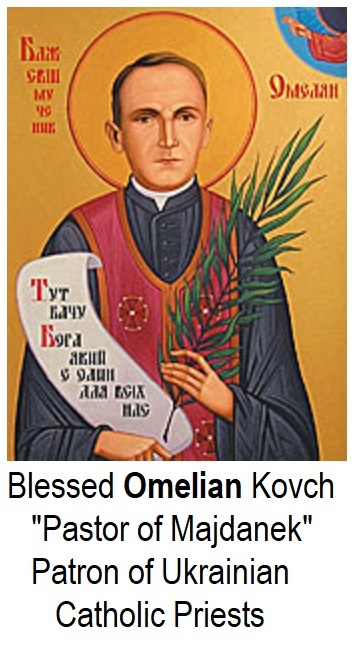 The bishop-members of one of these metropolitan synods recently met in Kyiv. The eight bishops and auxiliary bishops of the Kyiv-Halych Metropolia - that covers a vast north eastern area of Ukraine that includes the Archeparchy of Kyiv and the exarchates of Lutsk, Donetsk, Kharkiv, Odesa and Crimea - met on 21 March 2019. The resolutions of their synodal meeting are both interesting and very hopeful for the future of the Church in that region. The general synod of the UGCC has made priestly formation one of its priorities for some time now. The synod fathers have made several resolutions and initiated several programs regarding not only the formation of priests, but the ongoing formation of clergy after ordination. One may observe that there seem to be many issues that the Church leadership needs to address. This is true and the Bishops do, in act deal with many challenges and needs every synod. Yet, the fact that continuing formation of clergy throughout the Church is given priority tells us about the great importance of the need for continuous support and strengthening of our clergy on spiritual, theological and cultural levels. A confident, dedicated and dare one say, holy, clergy will inspire pastoral activity in the church to a vibrancy that truly fulfills the mandate of Christ to Evangelize all peoples. Canada's Catherine Doherty in her well-circulated book to priests entitled "Dear Father", alluded to the old saying that has made its rounds in the church for probably centuries, "If the parish priest is a Saint, his people will be holy; If the priest is holy (but not yet a Saint) his people will be good; If he is good, his people will be lukewarm, and if he is lukewarm, his parishioners will be bad. And if the priest himself is bad, his people will go to Hell." 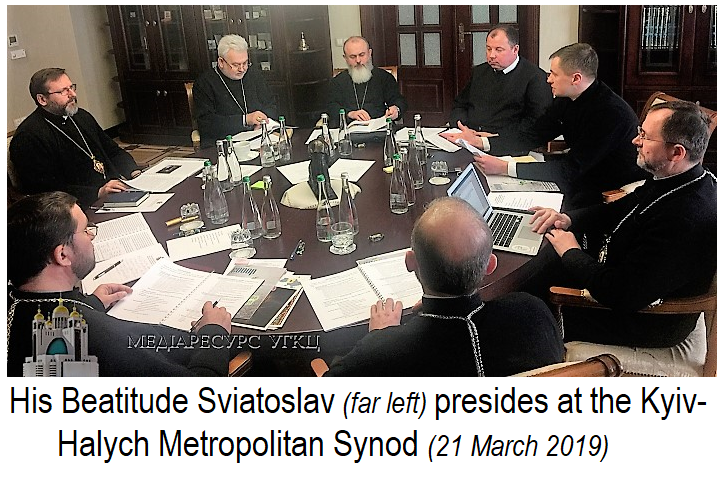 The Bishops of the UGCC are well aware of the effectiveness of well-trained and dedicated priests, and now their All-Church synodal resolutions are taking shape on a local level via the activity of local Metropolitan Synods and directly to local eparchies. 4. Have the Vibrant Parish Coordinators to continue work on a program of continuing clergy formation, taking into account the human, spiritual, intellectual and pastoral aspects. 9. Establish the theme for the next Synod session (in 9 months) as, "The Pastoral Vocation". May our good Lord continue to bless our priests and our whole church with the renewal and adaptation that the mission of the Church requires in our day.